Being an adult consists of a lot of fun things, however, it also involves making seemingly mundane purchases, that are actually essential to your health and well-being. One of those purchases will probably be toenail clippers. While toenail clippers may come across as a kind of “one size fits all” type of product, they actually vary quite a bit. I mean, cutting your toenails should be a quick and precise process. You want to make sure your feet look nice and aren’t at risk of slicing anyone if they get too close to you on the couch. For these reasons, we’ve done some real digging and found the best toenail clippers to get you a nice and clean cut, quickly. 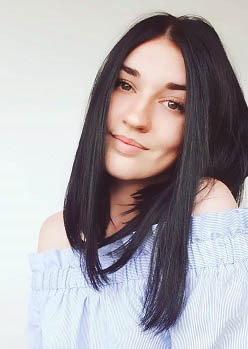 Below, we have taken it upon ourselves to put together a comprehensive table that lists the products and their outstanding features, so you can easily compare and contrast one product against others. This makes it easy for you to select the one you like the most. Now that you’ve taken a glance at the best toenail clippers on the market today, scroll down further for a more in-depth walk-through of each product! 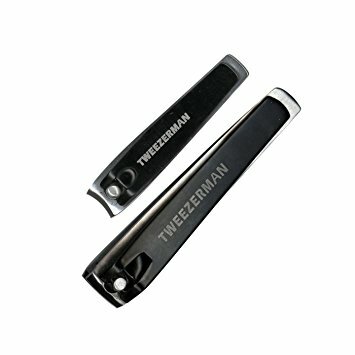 While the name may suggest they just make tweezers, Tweezerman has expanded on their self-grooming game and come out with some really amazing toenail clippers that are sure to impress. So maybe being impressed by toenail clippers may seem weird, but trust us, you haven’t lived until you’ve tried high-quality clippers! The LTD set comes with a set of stainless steel toenail clippers and fingernail clippers. There are a lot of clipper sets out there, but this one just couldn’t be forgotten. Tweezerman typically makes sleek, black products, and these clippers are no exception to that. Aside from their elegant look, they feature strong, sharp precision blades that are not only durable but easy to clean. 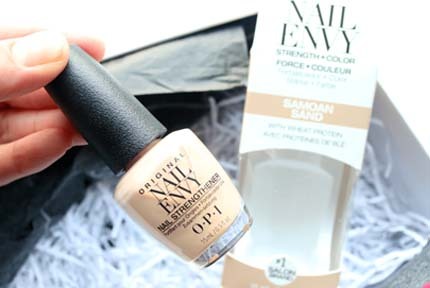 These are great if you find yourself having to squeeze and squeeze just to trim your nails! Dull blades do not do well with even slightly brittle nails, so having sharp blades is important. The fingernail clippers feature curved blades, while the toenail clippers have straight edge blades that won’t tear or split nails. The only downside is that the handle is a bit flimsy. Established in 1972, Kiya has been at the cutting edge of knife-creating for quite a while. They’ve decided to expand their skills and create a toenail clipper made of the same quality as their knives. While that may sound a little scary, we assure you that Kiya’s clippers won’t harm you in the slightest; in fact, you’ll probably be thanking them after for using this pair! At first glance, you may not even realize they’re toenail clippers. Their sleek and elegant design, combined with blackened steel may just make you want to show them off to your friends. Upon first picking it up, you’ll notice how dense and compact it feels, further proving to you that it is made of very high-quality materials. The die-cast lever ensures precise control of the particularly-sharp blade that can easily cut through even the thickest of nails. Another thoughtful addition is the plastic case that catches all of your clippings, so you don’t have to spend your morning with your feet hanging over the bathroom trash can. This may be the only part of the clippers that don’t last you for possibly 10-15 years. Last but not least, there’s also an etched file included, so not only are your nails trimmed but smooth. This is a must for anyone who wants nicely-kept hands. 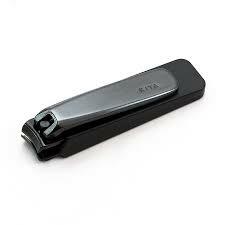 Definitely, check out the Kiya toenail clipper! Right off the bat, the Beepandless Professional nail clippers may look a bit intimidating, and we don’t blame you. They kind of looks like plyers or surgical tools, but we promise they’re much more pleasant than that. These clippers are particularly useful if you have arthritis or limited mobility in your hands. Due to the ergonomic design and 2.5” (6.3cm) handle, they’re easy to manage and control. The handles feature grit ridges, which are made to increase the traction, preventing slippage. As many people out there have problems with their hands cramping or not being able to use precision, these are a much-needed addition to the market. The slightly-curved blade may seem like it was made specifically for you, as it perfectly contours around the nail. The angled blade opens a full inch, which makes them ideal for ingrown toenails. The blades are hand-sharpened and make sure to slice through evenly even with the thickest nails. After each use, the blades should be cleaned to extend the length of use and for hygienic purposes. As it’s made of 100% stainless steel, they’re easy to clean, and designed for a lifetime of use. Victorinox has created the Swiss Army nail clip to make you look tough, but still keep your nails manicured nicely. Dating all the way back to 1884, Victoriana Swiss Army has prided themselves on creating highly durable and excellent quality materials, while maintaining their iconic design. The clippers are great for both thick or thin nails and cuts with precision with their impeccable sharpness. To keep it from moving around while you’re trimming, there is a little lock that keeps it inside the handle. After you trim your nails, be sure to use the nail cleaner and make your nails even smoother with a heavy-duty nail file. If you need to trim an itchy tag or maybe trim a rogue piece of string off of your pants, there are lever design serrated-edge scissors that will take care of those problems just fine. The tweezers and toothpick will make sure your teeth and eyebrows are groomed perfectly, no matter where you go. As there’s a key ring included, just pop it on next to your keys, and you’ll always be on top of things! 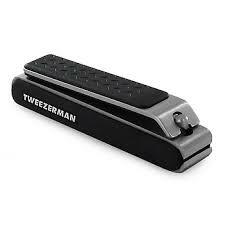 We know, we know, back to Tweezerman again! The reason why, is that we just couldn’t resist the great, innovative designs we have coming from them! The Precision Grip model looks like it just may be made specifically for a lumberjack! A lumberjack with well-manicured feet, that is. In fact, they deem it “heavy duty convenience for neat feet”. Made from stainless steel with a textured, non-slip grip, these are sure to catch your attention! The strong and durable blades cut right through toenails, even if they’re particularly thick and hard to handle. 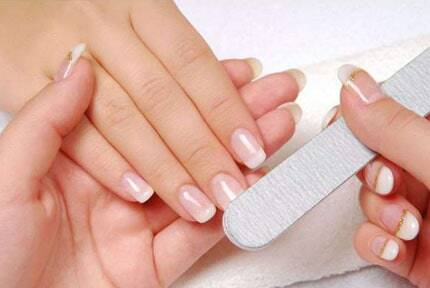 However, if you have brittle or thin nails, these also ensure they won’t be splintering and splitting. The comfort grip is ergonomically designed specifically for men, for easy handling. What makes them “designed for a man”? The only thing we could think of is that it just “looks” tougher, but then again, many men don’t want to use dainty-looking clippers that the women in their life also use. For easy clip-and-go, the included case catches the clippings and then slides open to being emptied. The downside to these is that they’re not very helpful for those with arthritis or have hands that tend to cramp. But now you have the perfect gift for your husband, father, son, brother or any other man in your life! Next on our list, is the EZ Grip 360. These definitely don’t look like the clippers you’re probably familiar with, but they are amazing for those with arthritis, diabetes, or those prone to hand-cramping and limited mobility. 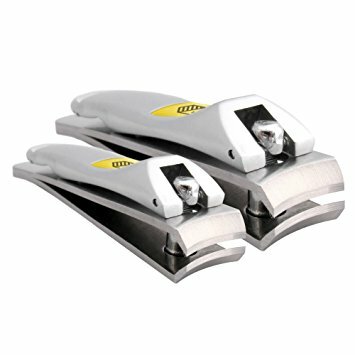 Like the name suggests, the handle on these clippers rotates a full 360 degrees, making it easy to get those hard-to-reach areas. The ergonomically-designed trimmer with stainless steel blades features wide, easy-grip handles with a smooth swivel action. While they rotate completely, they’re sturdy and hold their rotational position, so no slipping will occur. These are actually comfortable to use, and won’t leave you struggling with dexterity issues or hurting your hands with the small, steel clippers that are typically featured in this market. The EZ Grip nail clipper makes sure you can find your ideal position, and the steel blades give a sharp and precise trim. They’re also very lightweight and fold nicely, for convenient and easy storage. Half of the clippers are black, and the other half are clear, which makes the design quite eye-catching and attractive. The last item on our list is the Harperton Set. Much like our first option, it comes with both a fingernail clipper and a toenail clipper. The silver-and-white design is attractive, and the unique design is ergonomically-crafted to cradle fingers, making the clippers easier to handle and deliver a more precise trim. The hand-sharpened stainless steel blades cut thick nails smoothly, yet make sure thinner nails don’t splinter or break. The reinforced/forged handle creates more leverage, which makes these a great choice, even if you don’t have a lot of strength in your hands. One feature that really sets both of these clippers apart, is that they can be used on just about anybody. Babies, men, women, children, and elderly people can all use these effectively (just don’t try them out on your cat). If you’re looking for a good set of toenail clippers that can be used by anyone (just make sure you don’t share and clean the clippers very thoroughly), check out the Harperton Set! 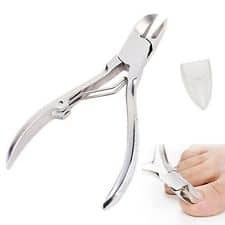 Buying the best toenail clippers shouldn’t be that difficult, right? Well, it’s really not a hard task at all, if you know what you’re looking for. We’ve created a buying guide to make things easier for you, and to save you some time. The material is very important when using a grooming product. Stainless steel is ideal, as it is durable and typically very sharp. Stainless steel is also much easier to clean than other materials, which is important, for hygienic purposes. Low-quality blades can become dull and jagged after just a few uses, but a high-quality blade should last you a lifetime. We have quite a few ergonomically-designed handles on our list, and for a good reason! They prevent slippage and make handling the clippers easier; particularly for the elderly population or for those with arthritis. Some of them even include grippy material or traction to keep your fingers in place and prevent risky slippage. The longest handles are ideal for limited dexterity and arthritis, so if you have trouble with either one, check out the clippers that feature them. This all really comes down to personal preference, however, also take into consideration the way you’ll be using the clippers. If you plan on taking them with you, or using them frequently, consider ones that have a keychain ring to pop them onto your keys. Some even feature a hole built-in to do this, as well. There are various colors out there, and you’re sure to find one that catches your attention. Overall, we liked all of these clippers and found them to be outstanding choices. 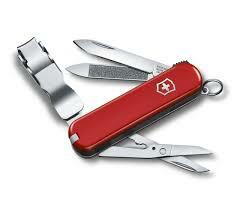 However, if you want us to tell you what our absolute favorite was, it would have to be Victorinox Swiss Army product. Why? It has just about anything you could want, all from the convenience of your pocket or keychain! Aside from heavy-duty stainless steel clippers that work on both thick and thin toenails, it comes with a toenail cleaner and nail file. On top of toenail maintenance, it features a toothpick, serrated-edge scissors, and tweezers, to get you out of any minor grooming situation! It also comes with a lifetime guarantee and features the classic Swiss Army style that everyone knows. Now get on your way to buying the best toenail clipper out there!